There are still a lot of people doing it wrong. They are using social media as a platform to yell, blast and spam out their goods and services. At no time do they explain what they are about, who they help or how they work. While the goal of using social media is awareness, the best way to get there is by encouraging people to talk, write, converse online and off. We live is a world where there are so may people / businesses / things screaming for our attention. Sometimes the noise level is painful. Encouraging people to get into the conversation, by sharing things that are of interest, peek curiosity and by simply being nice is a far better use of Social Media tools. For example: Real estate agents typically post about an open house or a new listing in their Facebook status or Twitter stream. Does this spark interest or encourage conversation? No. It’s flat out boring. Talk to me about the trek in the snow you made while showing the property, share tips on making the house show ready, talk about the goings on in the neighborhood, upload a photo of something cool you saw on the property… these things create curiosity and encourage interaction. It’s never been about the tools, it’s always been about the outreach. Get the methods of outreach down and you can succeed in any platform you chose to use. 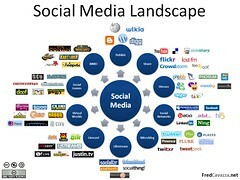 Make a promise to yourself and your connections in 2011 to do social media right. Put other’s needs in front of your own and make an effort to be helpful… that’s the key! I read this blog a few days ago, about a blogger who was asked by his 4 year old son what he's doing and he answered back that He is writing to the world, and his son told him: Tell the world something important. I was wowed with that post that until now I still can't get over it, and now I am asking myself, what is something important that is important? Wow John - thank you for sharing that! Feel free to share that link, sounds like it would be an interesting read!